Established in 2014, "Fabricatic", is a professionally accomplished Manufacturer and Supplier company that practices in providing highly cherished Ladies Suit & Sarees. 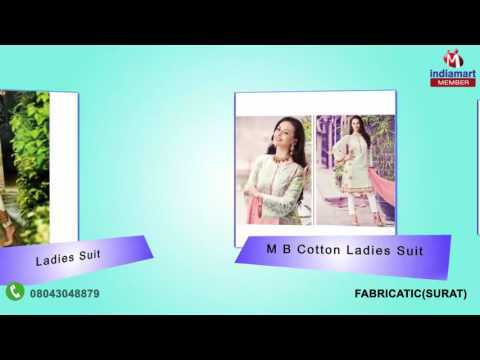 We are effective in serving an extensive collection of Suits and Saris which includes Pure Cotton Kameez Salwar, Georgette Salwar kameez and Net Salwar Kameez. We compound our designing expertise with intricate clients%u2019 needs, and offer a high accomplishing range of fabrics that are creating trust in our clients with its laboratory tested high grade fabric, skin friendly comfort, high shrink resistant, superior stitching and color fastness. We present the modern design, economical dresses with the perfect amalgamation of innovation and tradition in the division that form a long-term alliance with our customers across the country.